We comply to the highest standards in the investigation of accident scenes. We at Du Métier believe that no reconstruction of an accident scene can be accurate without a proper on-scene investigation. It is for this reason that we supply investigators with the following information, that will serve as the minimum requirements for the on-scene investigation. The information contained herein will be supplemented with other relevant information to assist the investigator. It is of the utmost importance that thorough observations be made at the scene, before and during the taking of measurements. 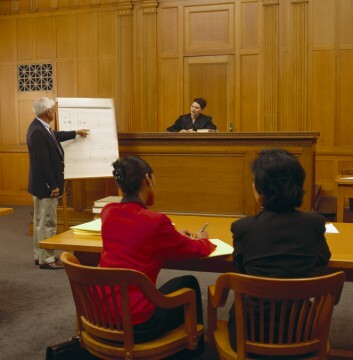 The power of observation of a draughtsman determines the standard of the evidence he will give in court. A factor, which may be of no importance to a passer-by, may sometimes be of great importance when the case is heard. Proper notes should be made on the rough sketch of all observations which are made at the scene. Position of white lines, barrier lines and indicating arrows on the road surface. Condition of surface of the road; i.e. is it smooth or rough, soft or hard. Are the edges of the tarmac road uneven or crumbled? 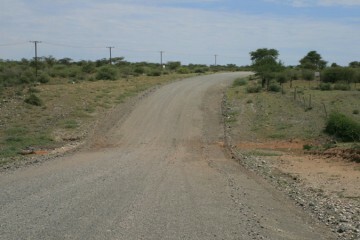 Are the edges of the tarmac road higher than the adjacent gravel strips and what is the difference in height? 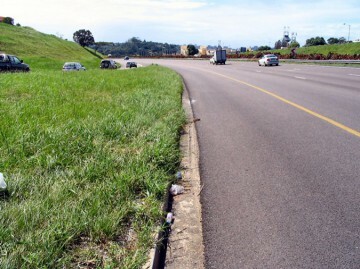 Are the edges of the tarmac road bordered by curbing cement strips, drainage gutters of holes? Entire width of the gravel road. Entire width which can be traveled on. Kind, colour and nature of the material, of which the road is made, e.g. hard, soft, sandy, white gravel, pot-clay, etc. Presence of potholes, corrugation, loose sand, gravel or stones, etc. Was the road wet or dry, and is there a sign indicating whether the road is slippery when wet. Was the road graded recently? Was the gravel portion graded recently? Were all the street lights on? Is there sufficient street lighting. Exact position of all streetlights. The area illuminated by streetlights. Are there any non-illuminated areas between the streetlights? Are they any other lights in the vicinity, which illuminate the area, e.g. illuminated shopping windows, etc? Presence of culverts and gutters. Traffic signs, electrical and telephone poles, trees, shrubs, grass, buildings and hedges. How far is the nearest fence from the edges of the road? Are there any turn-off roads, junctions, footpaths, etc? Position of robots, were they in working order and the method in which they function, what type it is and if they are clearly visible. Are the adjacent edges bordered by gravel? Width of gravel portions and sidewalks. Are the gravel strips passable? If the vehicle must swerve, can it travel on the pavements, gravel strips and grass portions? Foggy weather, snow or hail. Was there any gale or gusty wind? The position of the sun, especially at sunrise or sunset. Could the sun have blinded the driver? The position of the moon e.g. was it full moon? Make and model of the vehicle(s). Exact description of damage to vehicles. Other or previous damage(s) to vehicles. Attempt to determine from which direction the damage was caused. Try to ascertain what caused the damage. The condition of the tyres, e.g. worn, burst or cut tyres. Were the tyres damaged before or during the collision? Are the headlights, dim lights, parking lights, stoplights in working condition? Are the front and rear reflectors in working condition? In the case of heavy vehicles, are the compulsory chevrons brought on at the prescribed position and are they clean and visible. Are the foot- and hand brakes in a good working condition? Is the vehicle a left or right-handed drive? Condition of the windscreen and windscreen wipers. What are the kilometre readings of the vehicles? 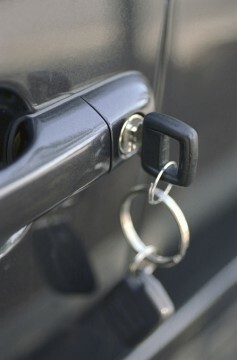 Are there any loose objects, such as cool drink bottles and empty beer tins, etc in the vehicle? Length and width of the vehicles. Height of the cab and coachwork, especially in the case of lorries. How far does the carriage overlap the wheels? Is the vehicle fitted with a rear-view mirror and does it diminish the image of vehicles approaching from the rear. Are there any rear-view mirrors attached to the sides of the vehicle? Are there any objects at the rear window obscuring the rear view? How far could the driver see the road in front? Did curves, trees, bushes, advertisement signs, etc obstruct his view? Are there any obstructions such as buildings, hedges etc at intersections? Were road-signs clearly visible or were they covered with mud or dust. If necessary take a photograph of the road-signs which are not clearly visible. Did smoke, dust, rain, fogginess or the lights of approaching traffic obstruct the view? Is the bicycle fitted with mudguards? Is the bicycle fitted with front and rear reflectors? Is the bicycle fitted with front and rear lights. Are the brakes in working condition? Is the bicycle fitted with a bell (little clock)? How was the pedestrian dressed? Was he dressed in dark or light coloured clothes, especially at night? Was the victim clearly visible or was his visibility limited by any object. Distance to and the position of the victim when he became visible for the first time. Is there any sign of drunkenness? If there is no reading on the air gauges, check all lines for leakage. It must be determined why there is no reading. Could be a faulty gauge. To ascertain yourself of this, check the air tanks. Check the position of the “S”-cam. Check the position of the slack adjusters. Check if all the various connections are done and are done correct. Check for tied off parts such as the load sensing valve and rust in “suzies”. Do not adjust settings on brake system. Uncouple actuating rod when recovering the vehicle. – The whole vehicle as a unit with the load. – The whole vehicle as a unit without the load. – The whole length of the vehicle as a unit. – Distance from centre point of kingpin to first axle. – Distance from front and back of vehicle to the nearest axle. During the weigh process, before unloading the vehicle, it should undergo a brake test at the local Vehicle Testing Centre. The whole process from point 3 to 13 must be photographed. Record the correct chassis- and engine numbers for the vehicles. Do not strip vehicle before the expert arrives on the scene where he is admitted.